Halogens is a term used in Periodic Chemistry when classifying the chemical elements. Each element can usually be classified as a metal or a non-metal based on their general Physical and Chemical Properties. The word Halogens is derived from the Greek word 'hals' meaning "salt" or "sea", and 'gen' from the Greek word 'gígnomai meaning "come to be" for an element that produces a salt when it forms a compound with a metal. Halogens are highly reactive can be found in many minerals and in seawater. At room temperature and pressure, fluorine and chlorine are gases, bromine is a liquid and iodine and astatine are solids. 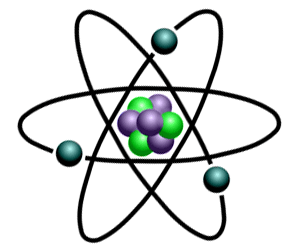 Group 17 is therefore the only periodic table group exhibiting all three states of matter at room temperature. The 5 elements classified as "Halogens" are located in Group 17 of the Periodic Table. Halogens are combined with Silver to produce the light sensitive crystals used as the basis for photographic emulsions. The term "halogen" means "salt-former" and compounds containing halogens are called "salts". The halogens exist, at room temperature, in all three states of matter - Gases such as Fluorine & Chlorine, Solids such as Iodine and Astatine and Liquid as in Bromine. Compare the properties of the elements classified as Halogens with the other group classifications via Periodic Table Groups and using the Periodic Table.